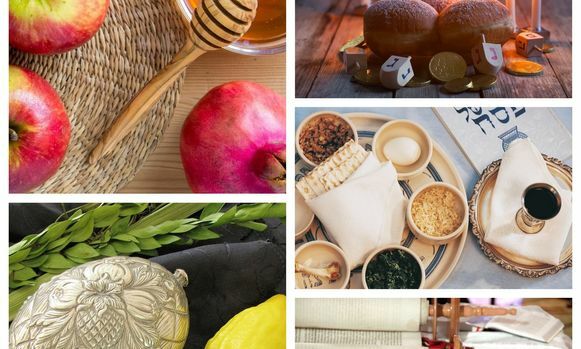 Many of us cherish memories of our families’ Passover Seder, beginning a new Jewish year with joy over Rosh Hashana, cheesecake on Shavuot, and building the family Sukka in the backyard. Nice clothing and special recipes added to a festive atmosphere that many of us will never forget. In Israel today, tens of thousands of families do not have the budget to provide festive family meals. What memories will they have of the holidays if they see friends and neighbors celebrating while their homes are empty? For those barely managing to put bread on the table, holiday expenses can spell crisis. What a terrible dilemma for parents to have to choose between eating meager meals without the traditional dishes, or going further into debt in order to have a modest celebration. Children look forward to wearing beautiful new clothing and eating sumptuous meals. They see their neighbors' new clothes, and smell the aromas of abundant meals being prepared. They know that it is a holiday, and can't help but wonder why they have been left out. We cannot sit by and allow Jewish families to be hungry and feel ashamed as we celebrate. Yad Eliezer wants to enable every Jewish family to celebrate the holidays with joy and dignity. Our celebration meals mean so much more when we know that we have helped the poor of Israel to celebrate as well. Since 1989, Yad Eliezer has been privileged to help create happy holiday memories for some 8,000 poor families in Israel each holiday season. Partnerships with local neighborhood charity funds in Israel allow Yad Eliezer to discretely distribute vouchers for chicken, meat, and other foods as well as shoes and clothing on an as-needed basis. Last Pesach, Yad Eliezer distributed a record amount of over $2 million before the chag. Let's make this holiday season even better! Give a child in Israel happy holiday memories. Donate to the Yad Eliezer Holiday Fund today! This past holiday season close to $4 million dollars in aid was distributed to 33,000 families. Donate a chicken to a family in urgent financial crisis and know that through your generosity one more Israeli family will celebrate Shabbat with joy.